Greenwich, Conn. – I never met Malcolm Pray, but I’ve been in his living room. 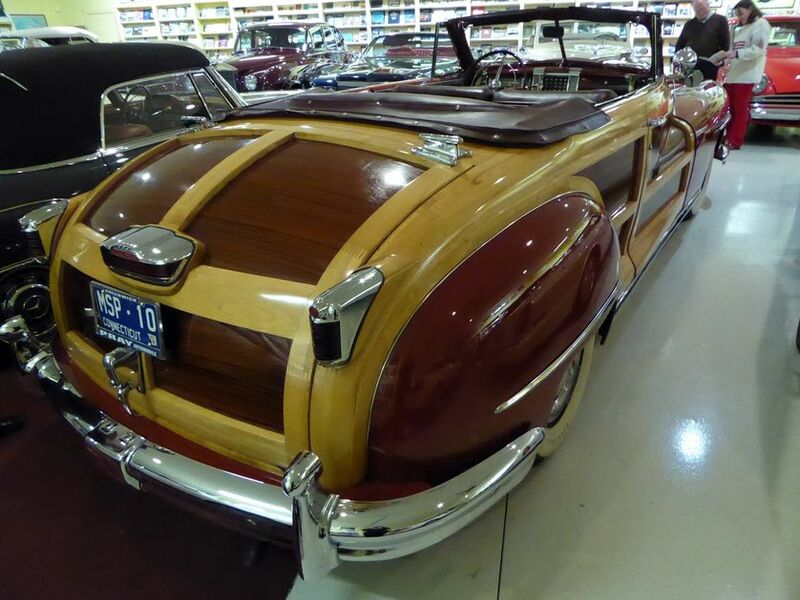 Pray, a major Connecticut auto dealer and collector built a huge garage for his dozens of cars and brought in duplicates of his living room couches and chairs so he could hang out comfortably among his Delahayes and vintage BMWs. Wealthy Greenwich, you may have heard, is a major car town, where Tesla Model S’s dice with Maserati Ghiblis on the main street (with white-gloved cops replacing the traffic lights). Ralph Lauren keeps his cars near here, and that world-class collection is close to a major storage facility for high-end collectibles such as Enzo Ferraris. Miller Motorcars, located downtown, is a dealer for Bugatti, Bentley, McLaren and Aston Martin. Ferrari, by the way, opened its first U.S. distributor in town, capably helmed by famous ex-racing driver Luigi Chinetti. And don’t forget the Greenwich Concours d’Elegance, established by the late Bruce Wennerstrom and still one of America’s pre-eminent auto events. Malcolm Pray, who died in 2013, fit comfortably into that world, regularly winning prizes for his cars, including the personal-favorite 1937 Delahaye 135M Roadster he’d been charmed by at the 1939 New York World’s Fair. Pray, a major Republican fundraiser when he wasn’t buying and selling cars (Mitt Romney shows up in a lot of photos), could have settled into a comfortable retirement with his family and cars after he sold his six dealerships in 2001. But he didn’t. Instead, he turned the two adjoining car barns (just over the border from Greenwich in Bedford, New York) into the Malcolm Pray Achievement Center. The center’s mission is inspiring kids, mostly from poor backgrounds, to succeed in life the way he did. “There’s nothing in life you can’t achieve,” said Pray, who made a point of greeting each kid individually. “Your reputation is the greatest asset you have.” Needless to say, Pray taught the value of a firm handshake. Some 600 kids visited the first year, in 1999, and 7,000 since then. It turns out that Pray had, if not exactly a rags-to-riches story, certainly one about the most unlikely to succeed. No star student in high school, he also failed to distinguish himself at the University of Virginia. Back in Greenwich, he took a job at modest Morlee Motors (the local Fiat dealer) in 1955. And as Marikay Satryano, a three-tour Iraq War veteran and the achievement center’s executive director, describes it, it was there that Pray finally found what he was good at – selling cars. In two years, Malcolm Pray was the top salesman, and soon after bought the dealership, which became the basis on which was built his very successful Volkswagen/Audi/Porsche auto empire. That experience made a deep impression, and Pray gave the young entrepreneurs such lessons as “Sometimes a hobby can turn into a career,” “Not all millionaires are involved in big businesses,” “Tell the truth — liars get caught,” and “Don’t waste time in school.” That last one he learned by negative example. The kids get a chance to sit in the car of their choice, a privilege I was not personally granted. Pray had a big selloff of his cars at Amelia Island in 2014, and so I didn’t get to see $14 million worth of, among others, a 1958 BMW 507 Roadster ($2.4 million for that one alone); the Delahaye ($6.6 million); a Ferrari 250GT Series II Cabriolet ($1.76 million); and a Bugatti Type 57C Roadster ($902,000). But there was still plenty to see, 45 cars instead of the 70 that were there at one time. 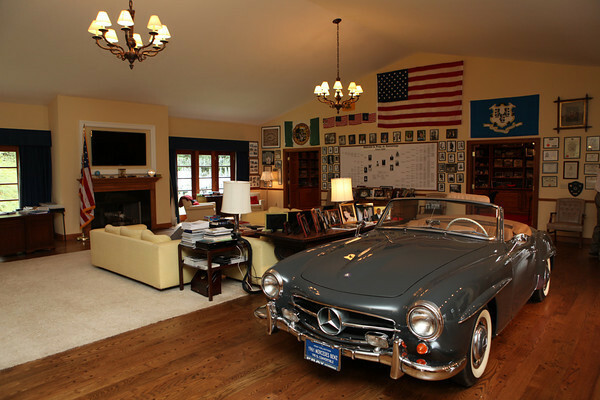 An immaculate Mercedes-Benz 190SL (like the one I used to own) sat in the aforementioned living room. The kids made a beeline to the 1942 Army Jeep in the corner, but I admired a brace of MGs, including a rare 1931 Model M with a fabric-covered body. The oldest car in the collection is a brass-era 1907 Metz, complete with starter handle. It’s used by the center as a lesson. “What kept a car like this from getting stolen back then?” the classes are asked. 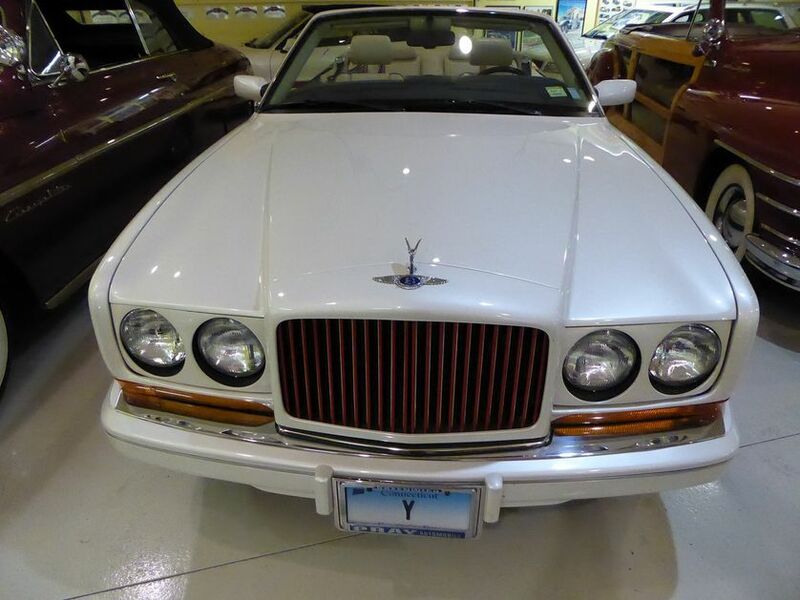 The correct answer, which some get, is that there were so few cars around back then that if somebody other than the Metz’ owner were seen piloting it, they’d be immediately arrested. 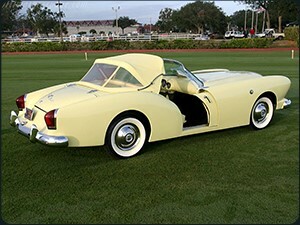 Pray frequently posed with his fiberglass-bodied 1954 Kaiser Darrin, which has doors that slide into the bodywork. 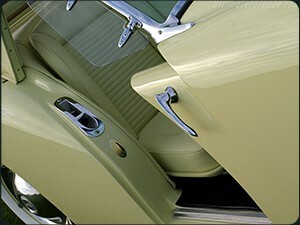 It’s an extrovert’s car, like the Rat Pack favorite Dual Ghia Pray used to own. 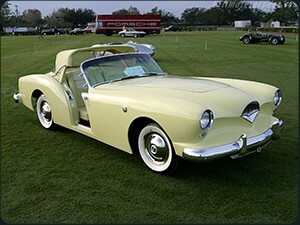 More prosaic are the VW Beetle and Karmann Ghia that remind visitors of Pray’s main job — selling Volkswagens. 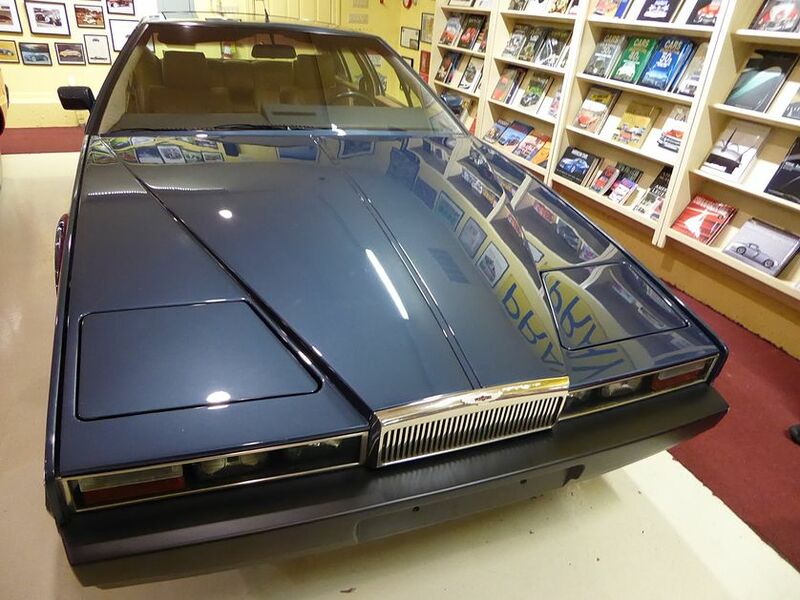 Aston Martin Lagonda, on loan to the center, was in heavy demand in the Middle East. “Mr. Pray loved to drive,” said Jerry Cotrone, who assists with events at the center. 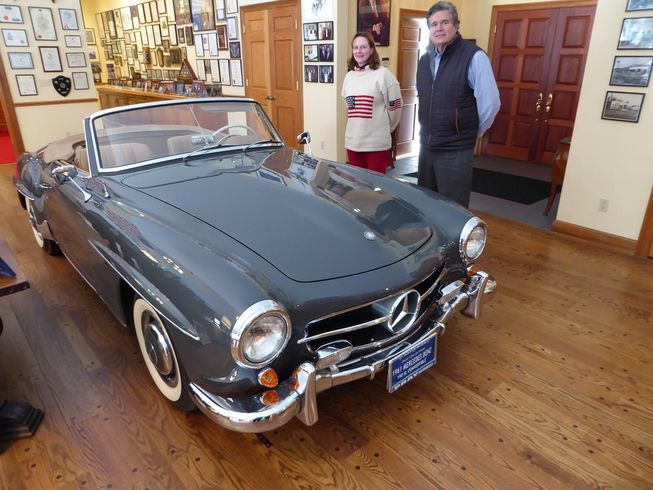 “He could have flown down to Florida, but he usually drove one of his cars.” Cotrone has his own Greenwich story – he was the car wash boy at Chinetti Motors while in college, and then became a BMW of North America sales manager. 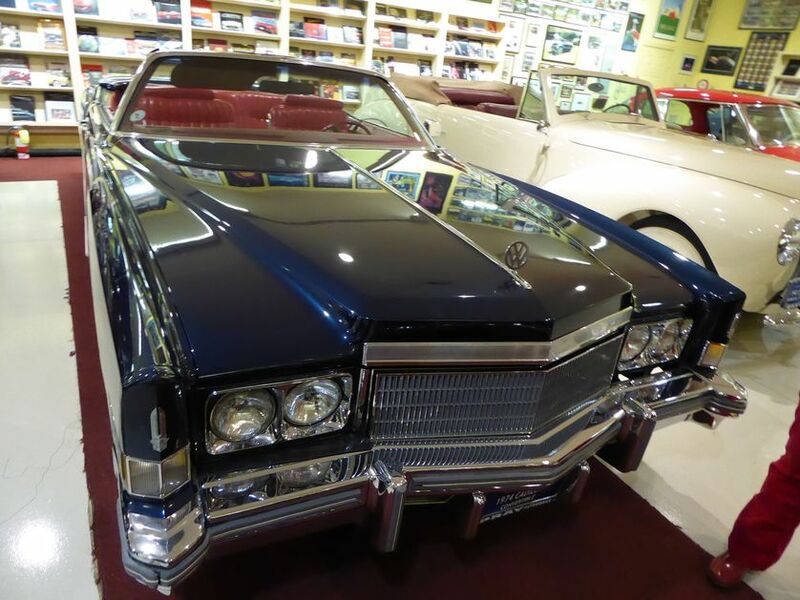 Other highlights for me include a ’46 Chrysler Town and Country, with gorgeously restored oak and mahogany wood side panels; a four-door 1964 Lincoln Continental convertible; a 1934 V-12 Packard with recreated LeBaron body by a real craftsman; and the dark blue 1974 Cadillac Eldorado that was Mr. Pray’s usual around-town car. After being criticized for not driving a VW like the ones he sold, he had a VW radiator ornament mounted on its mile-long hood. At the center he built, Malcolm Pray lives forever. Norwalk, CT – The late Malcolm S. Pray Jr.’s immaculate 1934 Packard 1108 Dual Cowl Phaeton will be featured at the Father’s Day Car Show at Mathews Park in Norwalk on Sunday, June 21st from 10AM to 3PM. The Packard Twelve was produced from 1933 to 1939. 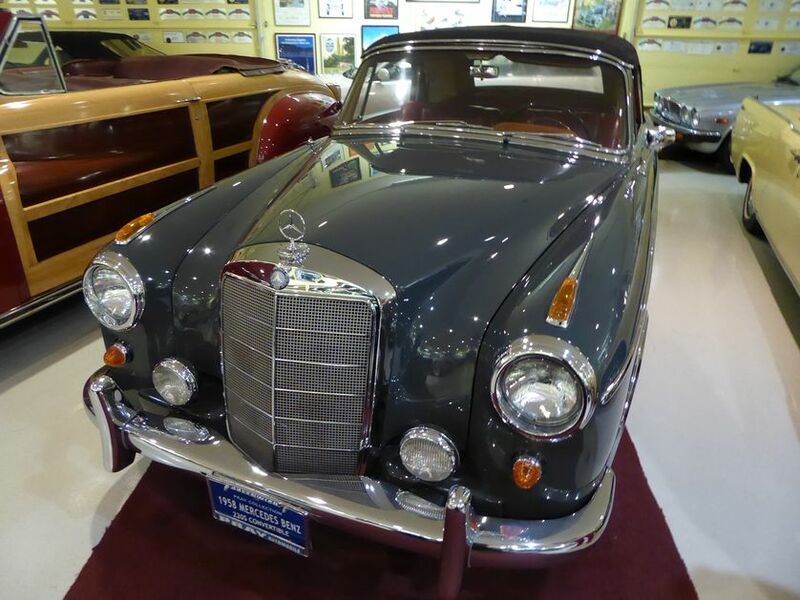 It is considered by many to be one of the finest automobiles ever produced by the legendary American automaker, and one of the most significant automobiles of the classic car era. 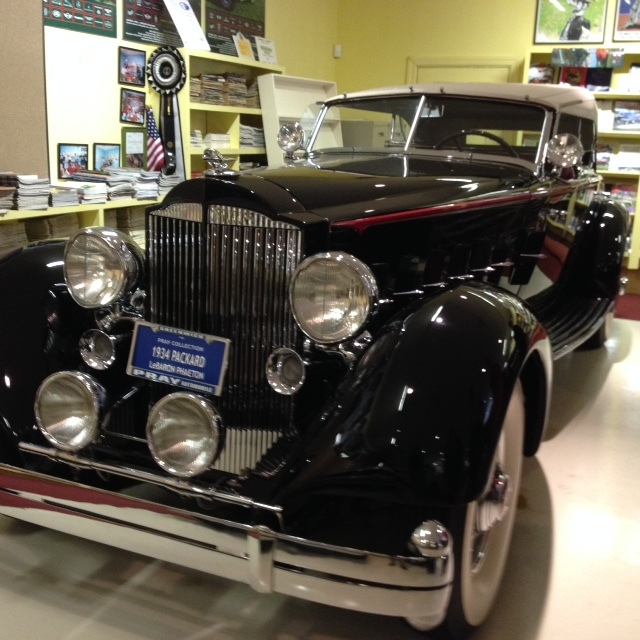 This 1934 Packard is a re-creation of the LeBaron style 1108 Sport Phaeton. It was the work of the craftsman Fran Roxas of Chicago, Illinois. It is equipped with a side-valve V-12, 445.5 cubic inch engine producing 160 horsepower. The vehicle is built on a massive 147 7/8 inch wheelbase, and is patterned after one of the most elegant and rare coachbuilt bodies ever created. 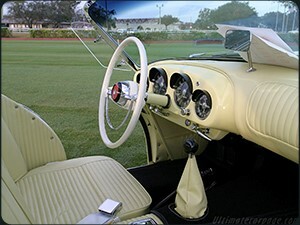 The car has been a three-time entrant at the Greenwich Concours d’Elegance, winning Best American Open Car in 2006, as well as a winner of awards at Concours in Amelia Island, New York and Stamford. The Pray Family Foundation will display the car in Norwalk. 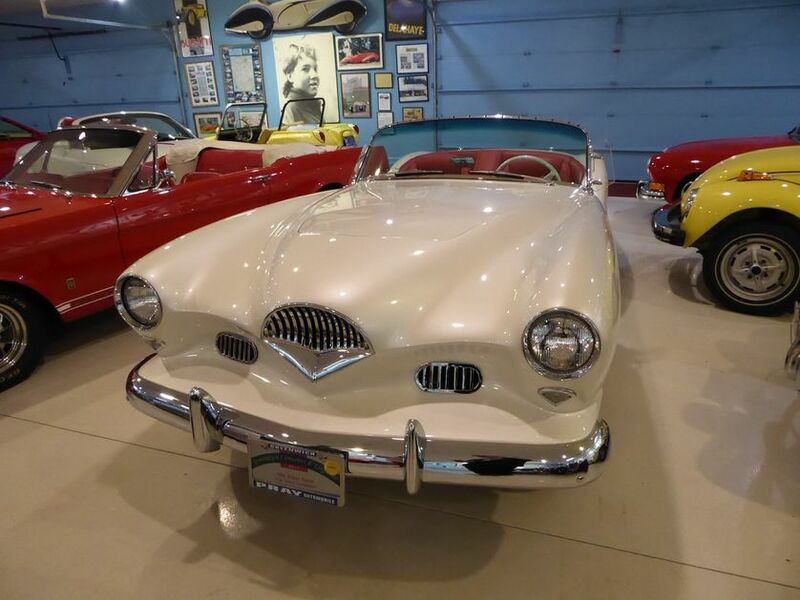 The Pray Family Foundation is carrying on Malcolm Pray’s legacy at the Malcolm Pray Achievement Center in Bedford, New York using his extraordinary car collection to inspire thousands of underprivileged kids to realize their potential by working hard and daring to dream. 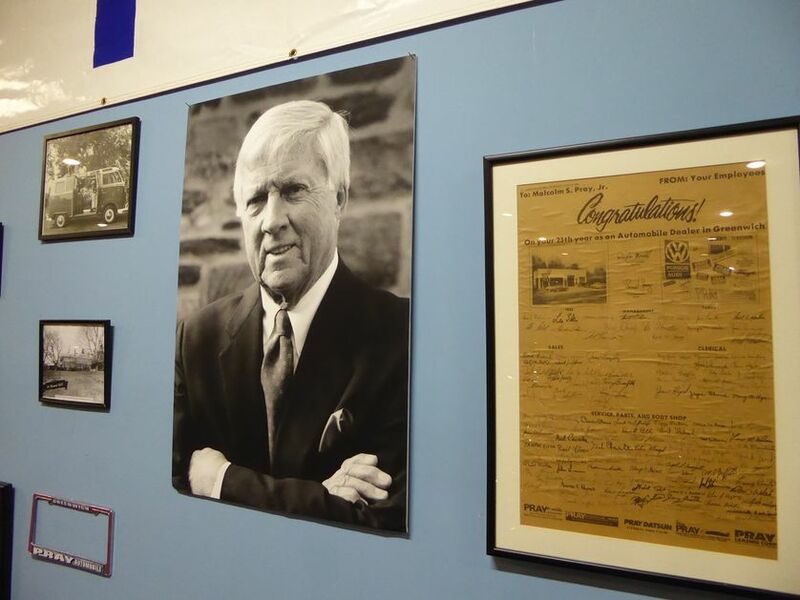 Mr. Pray, who passed away in 2013, a longtime Greenwich icon known as much for his business success as for his philanthropy, established the Pray Achievement Center in 2001 after the sale of his Greenwich automobile dealerships in the fall of 1999. He taught his staff the principles of Honesty, Integrity and Reputation, and today his Achievement Center continues to teach these essentials to a new generation. Using his cars, he delivered a message that anything can be accomplished through hard work and a positive attitude. Mr. Pray used many of the guiding principles he learned as a Boy Scout in a booklet he shared with his young visitors which teaches such concepts as valuing one’s reputation, trustworthiness and pride in one’s conduct. Malcolm Pray planned for the Malcolm Pray Achievement Center to continue in perpetuity and to be run by the Pray Family Foundation, established expressly for the purpose of continuing his work. Since 2001, the Achievement Center has engaged young people to consider their future careers by introducing them to the field of entrepreneurism. 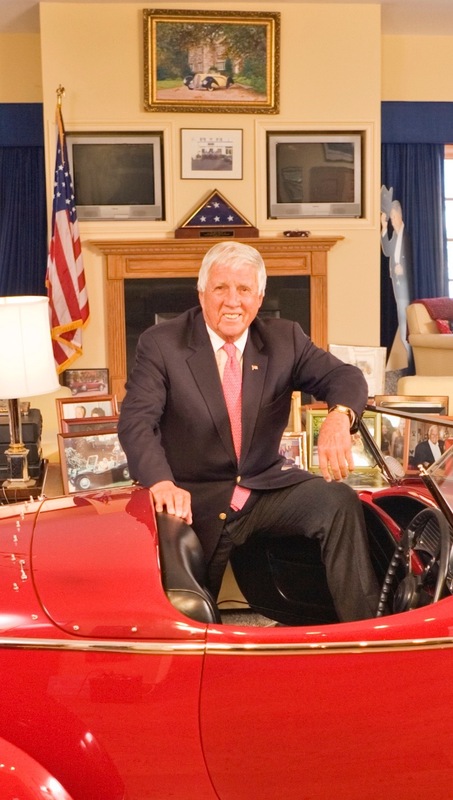 Malcolm Pray’s legacy, namely, his lifelong passion for cars and his extraordinary journey as an entrepreneur in the automobile business, continues to inspire young people today. “The cars are a way for me to prove to these kids that I have become an achiever on my own and they can, too,” Mr. Pray had said. 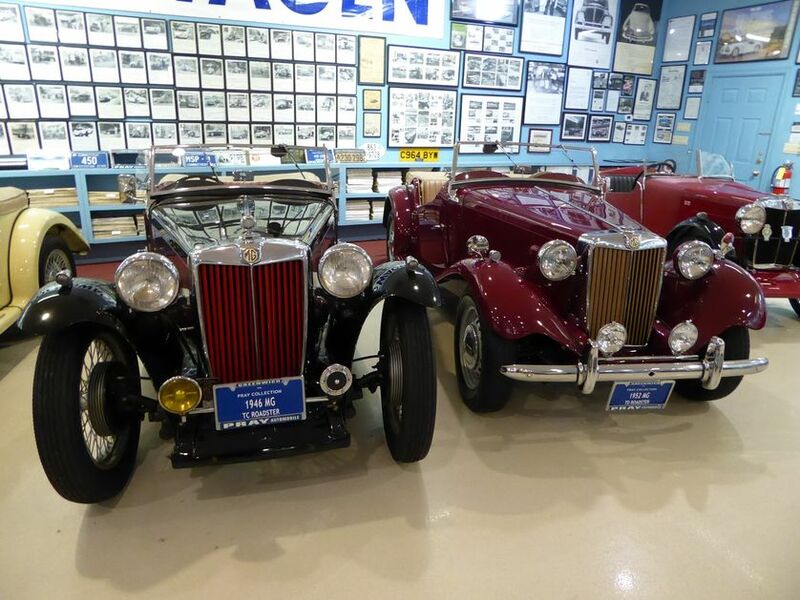 The Malcolm Pray Achievement Center is located in Bedford, NY and houses a collection of antique and collectible automobiles spanning over 100 years of automotive history.